Iran is planning to apply for UNESCO World Heritage Site status for the Alamut Castle. Iran plans to offer the historical Alamut Fortress to UNESCO to be listed as a World Heritage site. 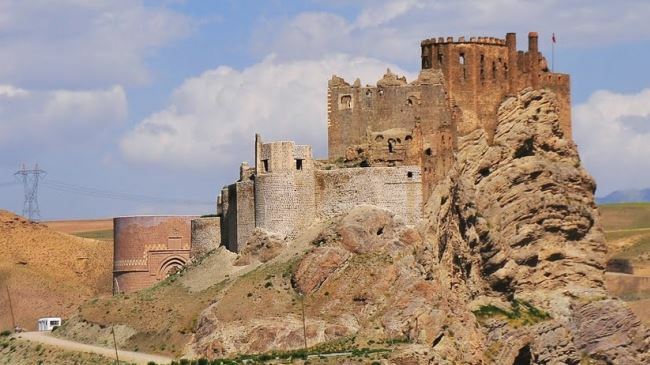 Located in Alamut region in Iran’s Qazvin Province, the castle is a mountain structure built on a massive rock in an altitude of 2,100 meters above sea level. The fabled ruin of Alamut Castle which is of historical significance dates back to around 1090 AD, when Hassan Sabbah, the leader of Ismailites in Iran, chose the Alamut region as his headquarters. The origins of the Alamut Fortress can be traced back to the Kings of Daylam, a Justanid ruler, at the end of the 8th century, who selected the area for the construction of a fortress. The fortress was demolished and set ablaze by Hulagu of Mongolia in 1256. Later the site was only used as prison and a place of exile. World Heritage site is a title that is given to locations that have “outstanding universal value” to humanity, according to the UNESCO description. Armenian monastic ensembles of Iran, Bam and its cultural landscape, Bisotoun, Naqsh-e Jahan Square, Pasargadae, Persepolis, Sheikh Safi al-din shrine, Shoushtar historical hydraulic system, Tabriz historic bazaar complex, Chogha Zanbil and the Persian garden are some of the Iranian historical heritage sites that have been inscribed on the UNESCO World Heritage List.